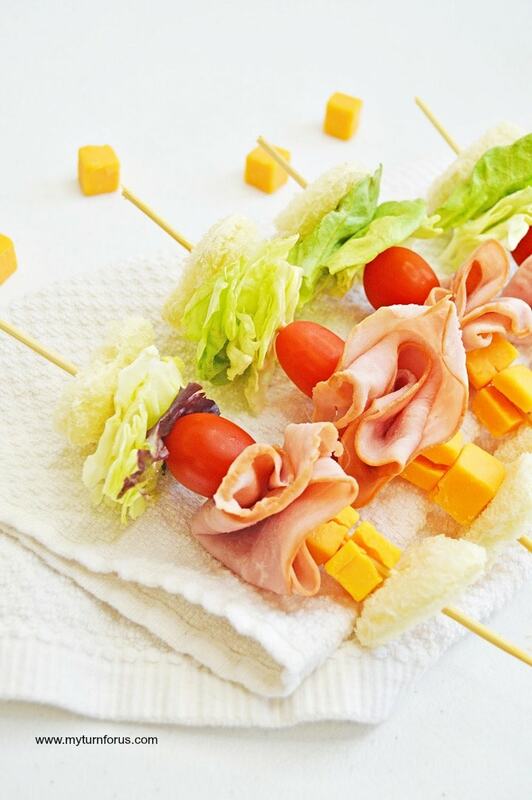 These ham and cheese sandwich kabobs are sweet heart-shaped sandwiches. 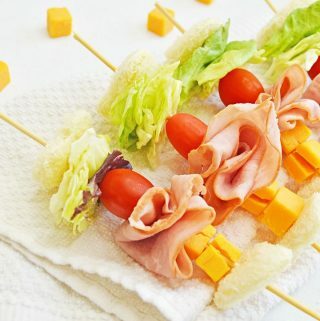 Make these easy sandwich skewers for mini kebab party appetizers or a mini kebob sandwich. 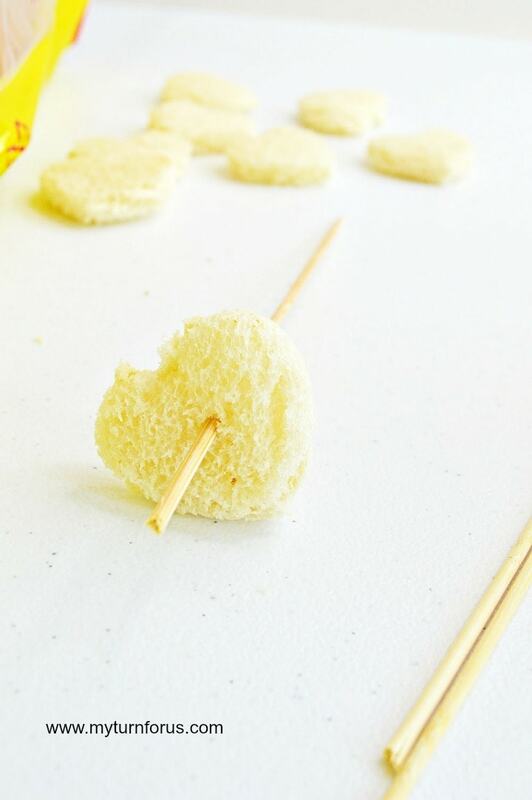 These little sandwich kebobs would be fun for Valentine’s day treat or afternoon snack. We are even putting them on the menu for our Superbowl party this year. 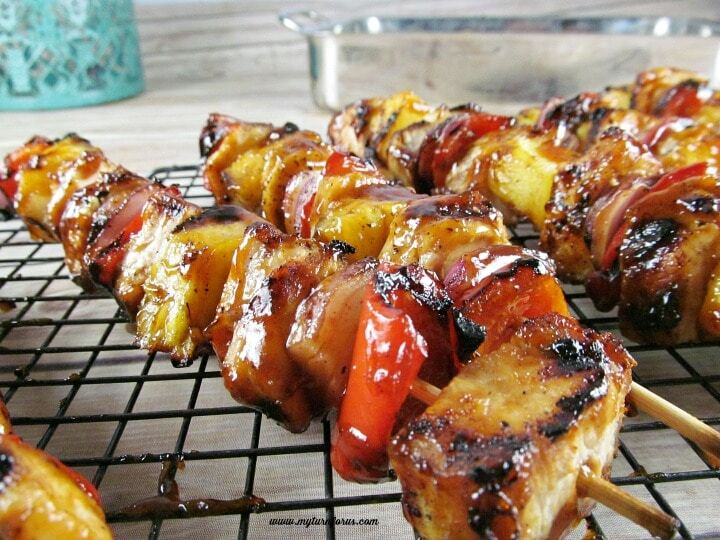 These kebob sandwich skewers look so fresh and healthy and colorful. 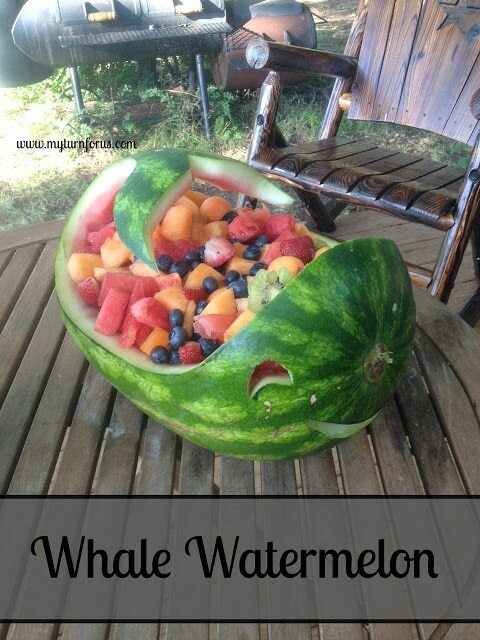 And they are so easy to make, and the sky is the limit on variations. 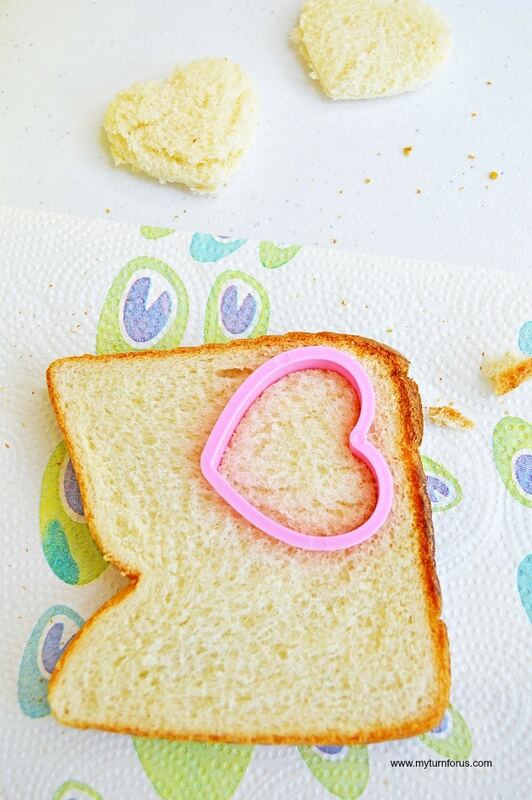 We love these little heart shaped sandwiches, and we are sure you will also. There is something about making appetizers in cool shapes that improve the experience of a holiday celebration. You don’t have to use a heart shape, stars or these other shapes would also work well. 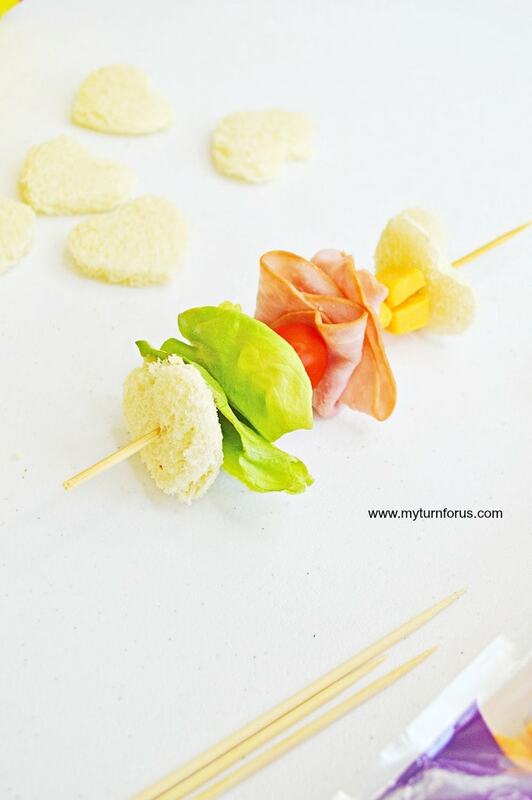 Start these easy mini kebab sandwiches with 8 slices of bread and a heart-shaped Cookie Cutter. The cutter should be small enough to get two shapes from each slice. You will need 16 little pieces to make eight sandwich kabobs. 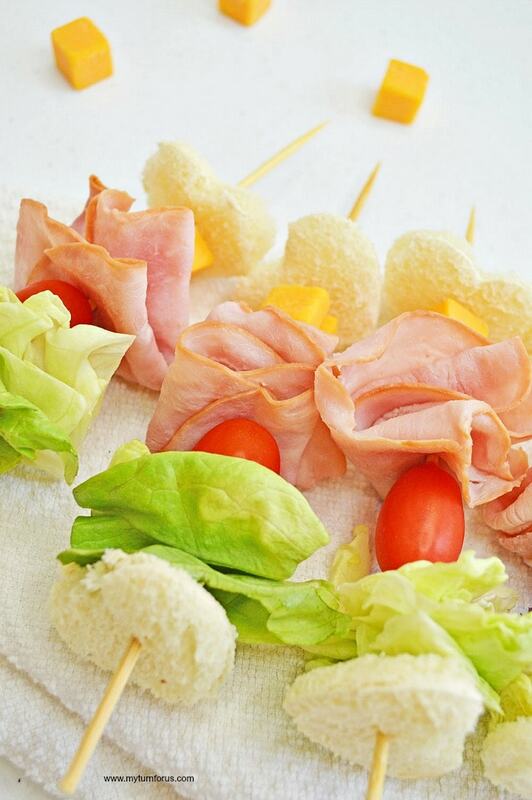 Add your ingredients to your kabob in this order- 1 piece of bread, lettuce, cherry tomato, ham, cheese cubes, followed by a final piece of bread. Continue making these sandwich skewers until you have made all eight. If you notice, we folded the ham slices, and the lettuce leaves to make them almost the same size as the bread ends. 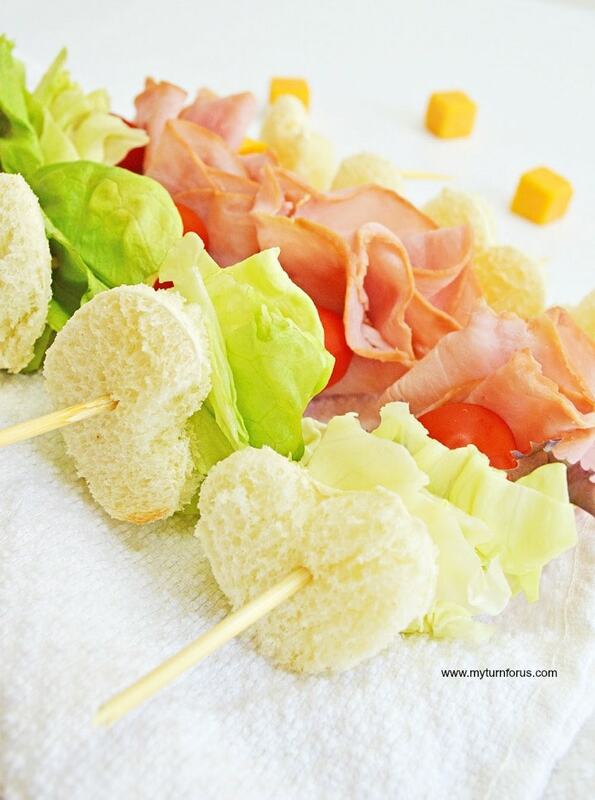 Serve these heart shaped sandwiches as an appetizer or a special snack for your loved ones. 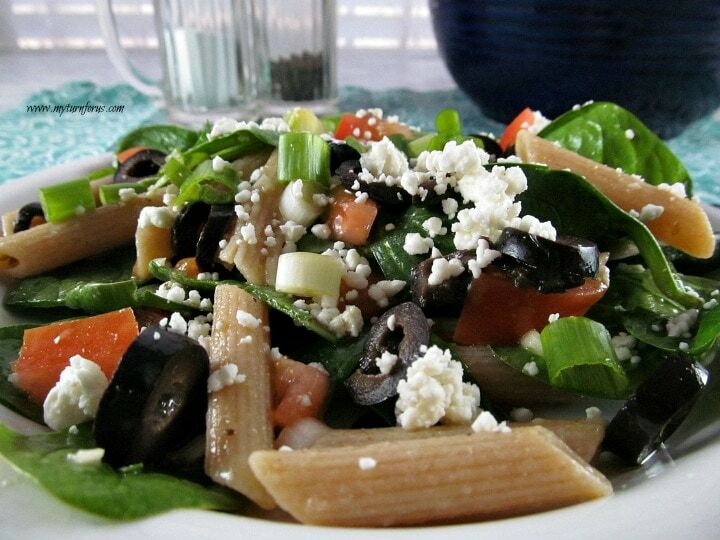 You could change the ingredients around as to your choice. I can see a pickle slice or tiny gherkin and different cheeses or meat.